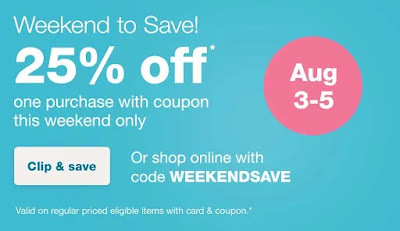 If you are headed to Walgreens this weekend be sure to print your Shopping Pass coupon to Save 25% off eligible regular priced items with your Balance Rewards Card. Plus you'll get free shipping on $35 or more. Offer ends tomorrow, August 5th.